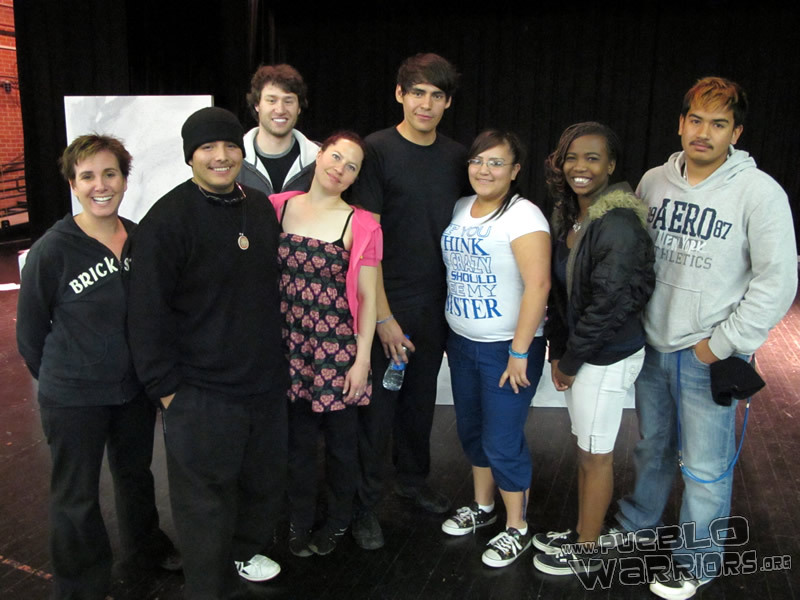 Borderlands Theater produced a play using the voices of youth throughout Tucson and a number of our Pueblo Students participated in workshops to contribute to this theater piece. 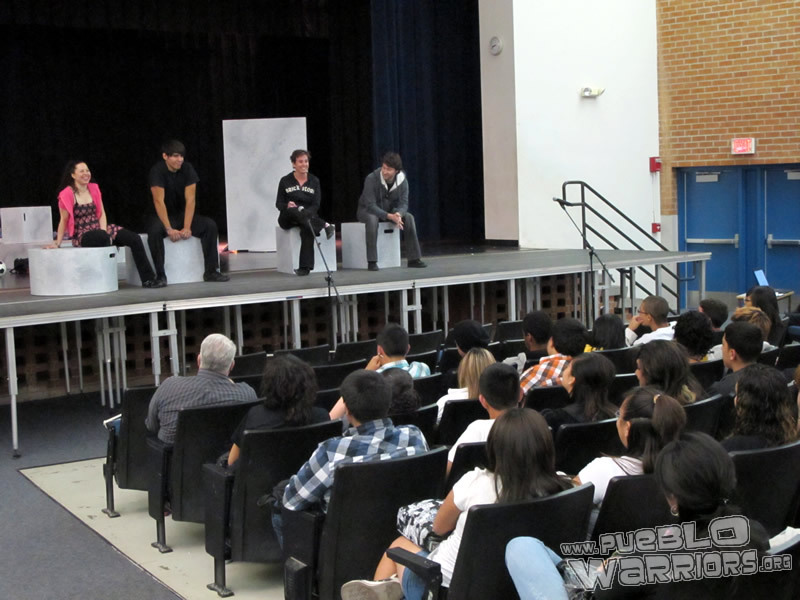 Pueblo was the first to preview the play and about 6 classes attended. After the conclusion of the play, the actors conducted a Q & A with the students. The actors stressed to everyone with an interest in theater to get involved with some Tucson Theater Groups. This collaboration was made possible by Borderlands Education Outreach Program which serves both youth and the general audience with special matinee performances, audience talkbacks, study guides and other activities. Here’s a preview video we filmed.